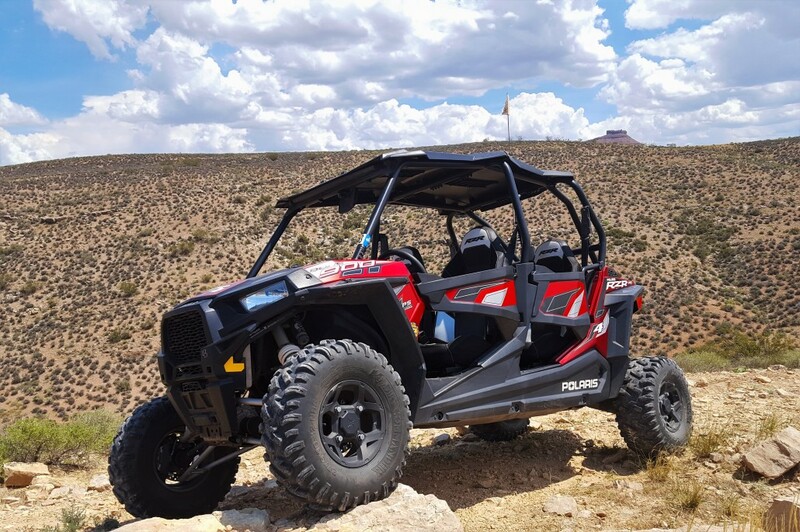 Our UTV rental fleet consist of a wide variety of the Polaris RZR side by sides. 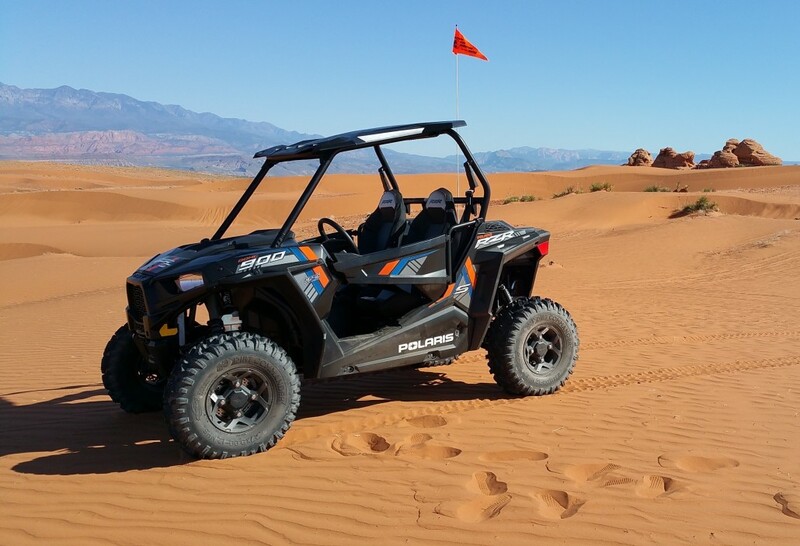 The Polaris RZR is the most popular side by side in the industry, and for good reason. 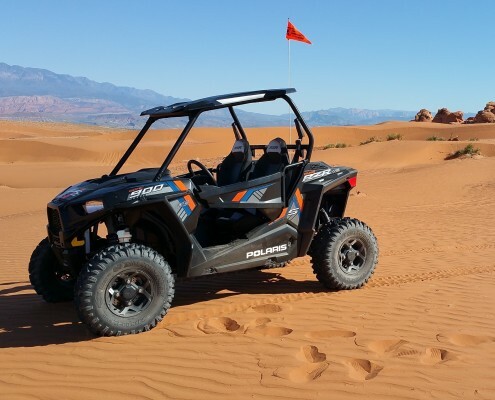 The RZR is proven to have superior performance and reliability year after year. 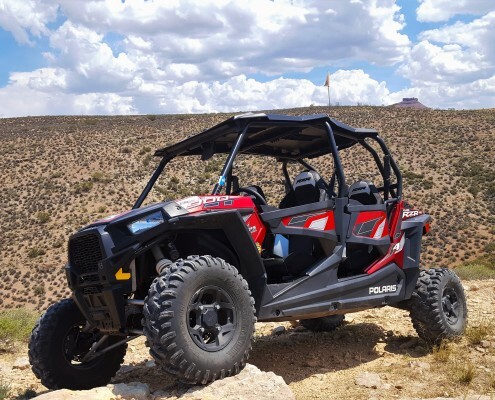 If you want something to explore with, and is easy on the budget we have the base model RZR. 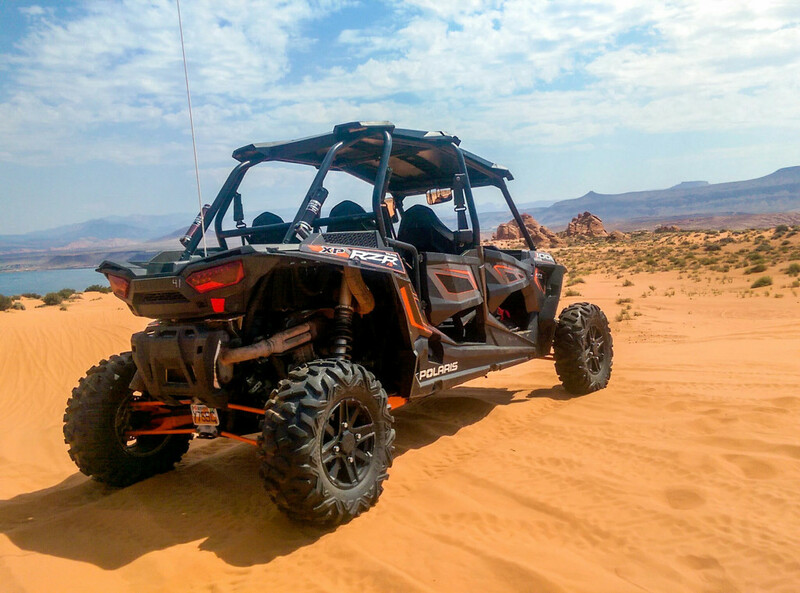 If you want a machine to blast through the dunes, that has speed as well as amazing suspension we have the XP1000. 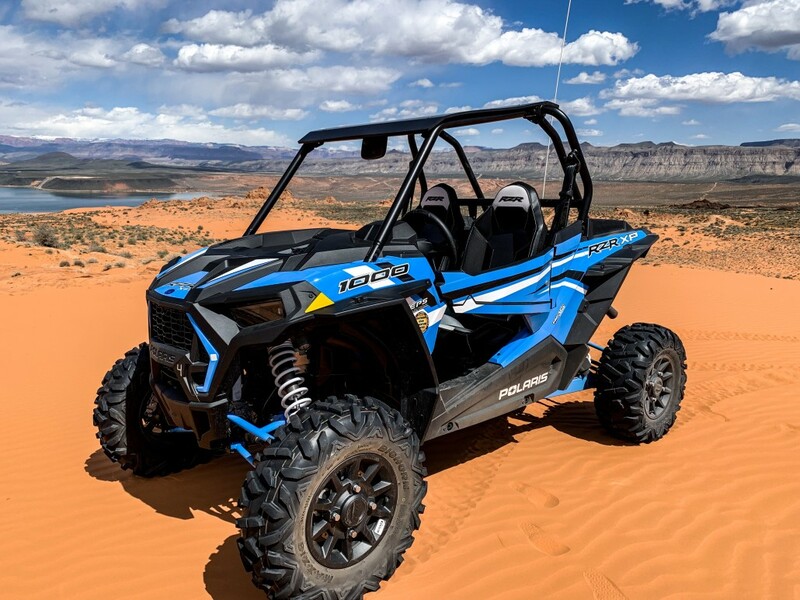 On the other hand, if you want to take the family out for a little of everything, we also have you covered with the most popular 4 seat models, including the RZR’4, XP900’4, XP1000’4, and the 6 seat Polaris Ranger Crew 1000cc. All models come installed with a hard top for shade while you play in the sun. 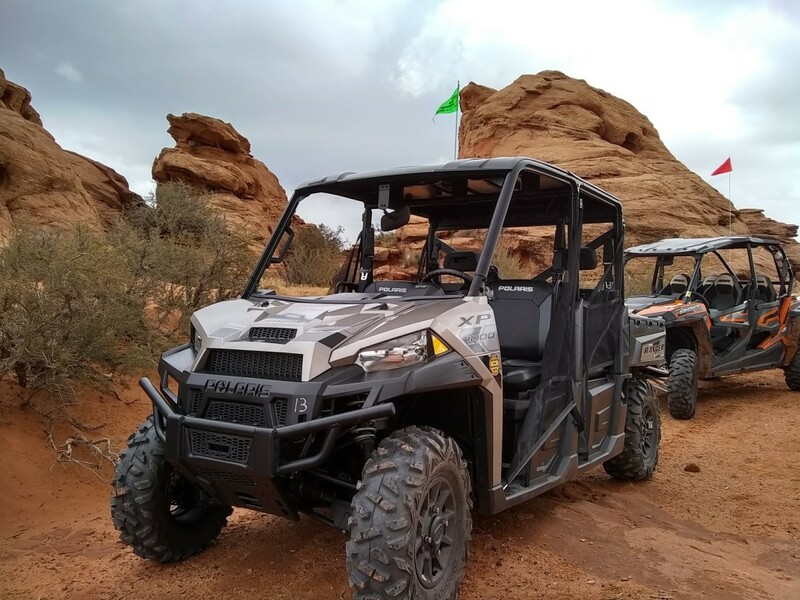 Driving a Side By Side (UTV) in Southern Utah is an off-road enthusiast’s dream. Luckily, you don’t need to be an enthusiast to enjoy the beautiful Southern Utah scenery and amazing trails. All rentals can be rode right from our shop to some of the best trails in Utah. Our fleet is kept up to date with an extensive maintenance program; in addition, we purchase new machines every year so you always get a nice newer machine when you rent. Renting with us gives you benefits: We have a large facility with a full staff, therefore if anything happens out on the trails we are available to come help. We have an in house repair facility, so our machines are well maintained. We provide you with a cooler full of ice, because you need somewhere to keep you favorite beverage while your out on the trail. 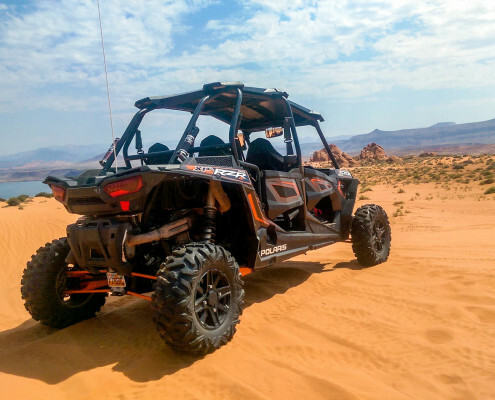 Southern Utah Adventure Center has been in business for over 6 years and our sister store, Moab Tour Company, has been in business for over 15 years. We have done the research to find out which brands of machines to rent in order to provide you with the best experience possible, our customer service is unmatched. We realize this is your vacation and not ours! If you find a lower price from a competitor give us a chance to meet or beat their price.